BINDOY (July 21, 2017) – About 40 participants from different fisherfolk and farmers associations in the municipality attended the two-day training on oyster mushroom production on July 18-19, 2017 at Domolog Public Market Conference Room in Bindoy, Negros Oriental. 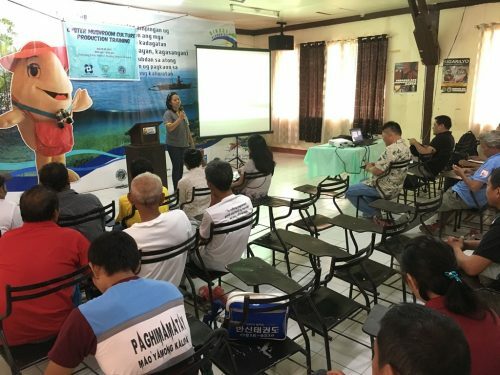 Organized by the Department of Science and Technology-Negros Oriental Provincial S&T Center (DOST NegOr PSTC), the training aims to teach the participants on oyster mushroom production so they can use it as an avenue for a possible business venture. Oyster mushroom (pleurotus ostreatus) production has long been an industry in the Philippines and grown commercially around the world for food. It is related to the similarly cultivated king oyster mushroom. This technology gained popularity among farmers and food enthusiasts due to its social, economic and environmental impact. The activity is in cooperation with LGU Bindoy and Department of Agriculture-Negros Oriental. Mr. Miguel Yucor and Mrs. Fe Pilosopo of DA NegOr served as the resource persons during the said training. 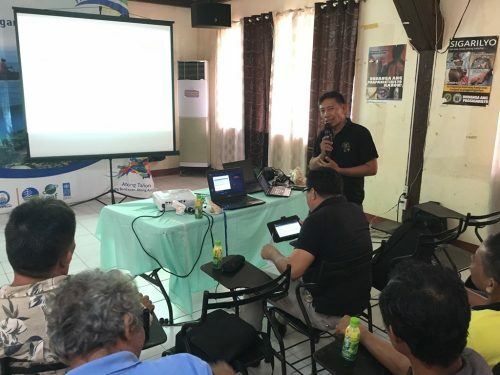 The duo lengthily explained on mushrooms, factors influencing mushroom growth, various species of mushrooms, mushrooms that can be grown in the Philippines, health benefits, vitamins and minerals in mushrooms, opportunities and potentials, national demand and mushrooms as potential enterprise with low capital investments. Also discussed were mushroom propagation (using tissue culture method), mushroom cultivation, culture media, preparation procedures, spawn production, fruiting bag preparation, incubation, fruiting bag care and management, harvest, appropriate costing and marketing of products. “The idea of oyster mushroom was quite new to the residents. The group was pretty familiar with cultivation of other plants due to previous trainings they had with other agencies. We showed them the basic but most effective way of growing oyster mushrooms so they can easily make it themselves,” Mrs. Pilosopo said. “We showed them how to appropriately cost their products. Sometimes they take for granted the labor cost which turns out as one of the important elements in the price. It’s a crucial first step in every business and we like to start it from there,” Mr. Yucor also added.